Well this is going to be a special night. For the first time in 45 years, Limerick have a home league match as All-Ireland hurling champions. Not only that, but it’s on a Saturday evening in front of the TV cameras and it’s against one of their biggest rivals. So you can be sure of a bit of a party atmosphere this Saturday, but like any party, there’s always the fear the neighbours will come along and spoil it. 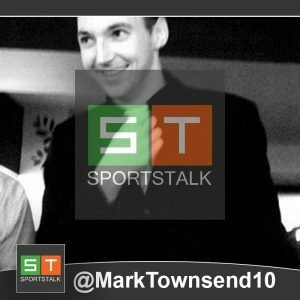 Tipperary were impressive in disposing of Clare last week, Tony Kelly’s controversial sending off or not. Not that such indicators are an automatic guarantee of success, but the hook, block, tackle count by them was their highest in 18 months last weekend. So were they just not putting it in for the last year under Michael Ryan? And is that not a damning indictment of said players if so? There’s no question of talent in Liam Sheedy’s ranks. If he can get them working as hard as anyone else, then the competition really do need to watch out. As for the All-Ireland champions, well an opening win away in Wexford Park is certainly not to be sniffed at. But they did make hard work of it at that times, and there’s also, the not insignificant fact that they’ve only been back to full training a couple of weeks. Whereas Tipp have been back for longer and have a new/old manager to impress. So maybe, just maybe, there may be that little bit more desire on the premier side come Saturday. 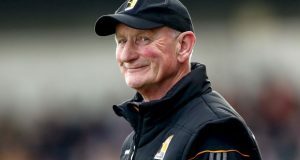 When you’ve won 11 All-Irelands in 20 years, it seems a little ridiculous to be talking about bogey teams but here’s a little known nugget about Brian Cody’s reign. In the last three years of league hurling Clare have beaten his team each time. No, really. 3 times in 3 different venues by margins of 9, 13 and 3 points respectively. You’d hardly remember it would you? Well, maybe you wouldn’t. But, for some reason, I think the Don himself might. So considering the formline, the fact that Clare are at home, and the fact they’ve the motivation of trying to atone for the opening week’s loss, you may be tempted to give the Banner the nod for this one. But then you think that well, Kilkenny were actually quite good last Sunday against Cork. Eoin Murphy is doing his thing, stopping bullets in goal, Huw Lawlor looks especially determined to make the full-back slot his own and Billy Ryan might be about to make a name for himself up front. So while some of the names may not be overly familiar, the typical unbreakable Cody spirit is. It was a bit of a shadow Clare side that lost to Tipperary, so expect the big guns of Peter Duggan, Colm Galvin et al to be coming back for this one. And sure, they may point to the Tony Kelly sending off as the reason they lost the game, but it wasn’t necessarily certain they would have been successful if he had stayed on. They’ll be fired up for this one but to beat Kilkenny three times in a row? Well, that’s an anomaly. But four times? Now that would be taking the p*** altogether wouldn’t it? The more things change the more they stay the same. Another year at Wexford and Davy Fitzgerald is still using the sweeper. Now Davy may argue that he won an All-Ireland with Clare that way in 2013, but it may just be a case that what worked in the past is not working now. Wexford need more scores. Unless the likes of Colm McDonald, Jack O’Connor, and co are given extra support, you wonder how they’re going to challenge for silverware. Last week’s game was one you expected Wexford to be targeting as winnable. That they didn’t should be a cause for concern. After last week’s shoddy performance in Nowlan Park, Shane McGrath accused Cork of not caring about the league. Well, there may be some truth in that line. There’s no relegation this year and a lot of their players are still involved in Fitzgibbon Cup or All-Ireland club competition. So, considering the opening games, you wouldn’t necessarily be expecting a cracker on Sunday. Still and all, if the Rebels are going to win a game this Spring, it’s probably going to be this one. Well that wasn’t so bad was it? A first Division 1B league game last Sunday away against Dublin and Carlow managed a highly creditable performance, if not a completely satisfactory result. If the number one aim for the county this season is survival, then there’s definitely a couple of matches they can target in this division as winnable. Unfortunately for them though, this is probably not one of them. 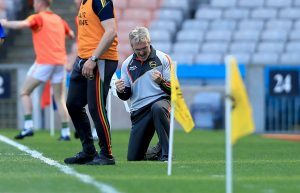 Even given the progress made by Carlow in the last few years, there’s a chasm between being Joe McDonagh cup winners and All-Ireland finalists. So while Galway never really put full pedal to the metal last Sunday in disposing of Laois, the reality is they didn’t have to. Expect to see more of the same from them this Sunday with perhaps the likes of Sean Blehane and Tomas Monaghan making a bit extra effort in trying to secure that all important championship starting spot. Hmmm. Not good. Not good at all. There’s no way of dressing it up otherwise. 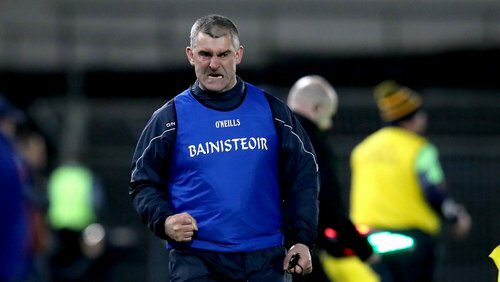 A 27 point hammering at the hands of Waterford in a supposedly “neutral” venue of Semple Stadium in your opening League game when scoring is supposedly more difficult is never a good look. This time last year Offaly had just defeated Dublin in their opening league encounter and then were summarily dismissed by Limerick at home in their second. So maybe they’re somewhat grateful that expectations have been dampened this time. On saying that, there was a massive difference between the sides (17 points) come Championship time, and the hunch is that hasn’t dramatically changed in the interim. Dublin weren’t exactly overly impressive in their opening league encounter with Carlow but they were safe in the knowledge that they had enough in the tank while not wishing to over-extend themselves. Given the disparity between the sides at this moment in time, they could probably do something similar here. Ok, I take it back. Perhaps I was wrong. Maybe I have been a little over-critical. Last week’s performance in Salthill showed that there is still plenty of hearts and guts and passion in Laois hurling. While never looking like getting anything from the game, there was enough to suggest that Eddie Brennan’s men can compete at this level. On saying that…there’s always a few cobwebs to be blown off at the start of any hurling season and Galway are not exactly known for over-extending themselves in the League. Waterford on the other hand handed poor Offaly an unmerciful hiding last Sunday and seem to be on a bit of a mission in League/Championship this year. So for any Laois person patting themselves on the back after last Sunday’s performance, be mindful of the fact that this game is likely to be many times more difficult. So despite the home crowd and the noble spirit that the O’Moore men showed last week, you’d have to think that Pauraic Fanning’s side will have too much for them this weekend. How much the margin is depends on how goal hungry the likes of Stephen Bennett and DJ Foran are.